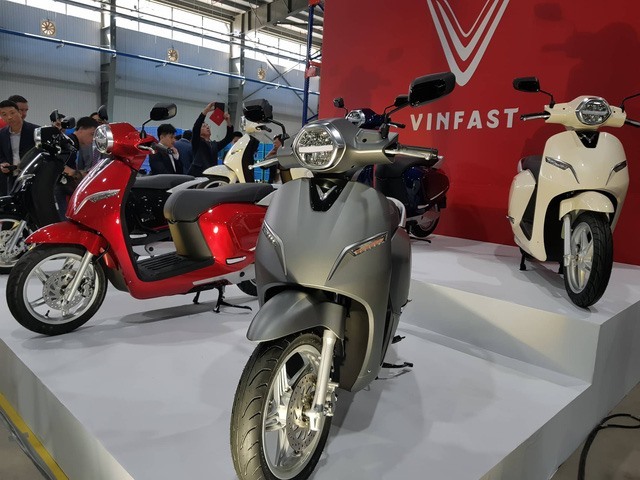 HCM CITY — The Vietnamese electric motorbike market is seeing the participation of more and more domestic and foreign manufacturers. After Vinfast Manufacturing and Trading Company Limited of Việt Nam introduced its Klara bikes last November, hundreds of similar products from foreign names such as Honda, Teera Motors and Pega have appeared in the market. An electric motorbike has a speed of 40-60 kilometres per hour, and one single charge can last for 50-90 km or even up to 100 km. The price runs from VNĐ12 million to VNĐ68 million (US$516-US$2,927) based on type of material, technology, machinery, battery, and insurance policy. Many manufacturers are offering up to two years of insurance for their products. This year, the market promises to have more quality electric motorbikes from leading brands. Honda Việt Nam last month introduced its new product called PCX Electric in Hà Nội. The bike can travel up to 60 km on a single charge with a speed of 30-35 km per hour, while it takes six hours to fully charge the battery. Piaggio Việt Nam has imported Vespa Elettrica equipped with a 4kW electric motor. It can go 100 km on a single charge and its battery will last up to 10 years. The bike is also installed with driver recognition and a danger warning system. The company is expected to introduce this model to the market soon.